30% of e-commerce transactions in Southeast Asia are from Malaysia. Despite that, online selling is still a young industry here in Malaysia. While we have the big guns like Lazada, Zalora, Shoppr and the like leading the movement in Malaysia, a not insignificant number of transactions happen over Facebook and WhatsApp. And with how rapidly things move here in Malaysia, the Domestic Trade, Cooperatives and Consumerism Ministry has been running to catch up with the equally high cases of fraud and irresponsible selling online. Now, the ministry is going to start cracking down on sellers who only reveal prices after a PM. 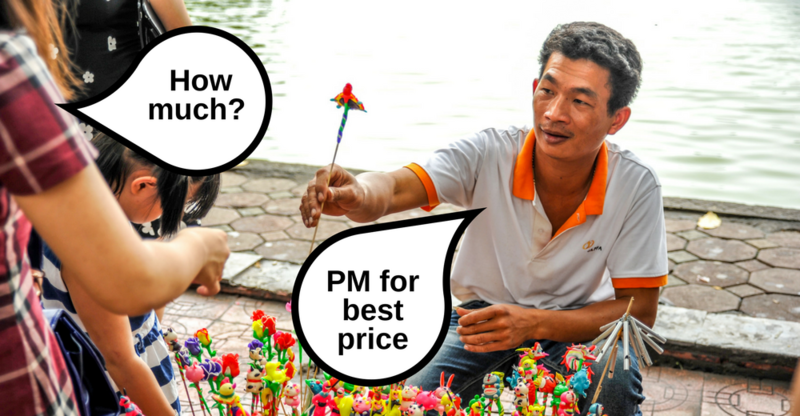 One of the many objections to the whole “PM” issue is that the vendors are able to charge different consumers different prices, besides being able to mark up their prices at will depending on demand. This enforcement actually comes under the jurisdiction of the Price Control Order (Indication of Price by Retailer) 1993 act. To prevent haggling anarchy from ridiculous price hikes (think grocery shopping around Chinese New Year) the ministry specifically pointed out sellers who don’t prominently display prices. And since e-commerce is in fact, commerce, online sellers also fall under the act’s powers. As far as this law goes, sellers on sites like Lazada or Zalora aren’t affected. Most of them comply with the law after all, by displaying their prices clearly on their stores, as per how these websites function anyway. “Our problem is with those using social media to ply their trade,” said Roslan. However, it’s not just about displaying prices on-site. 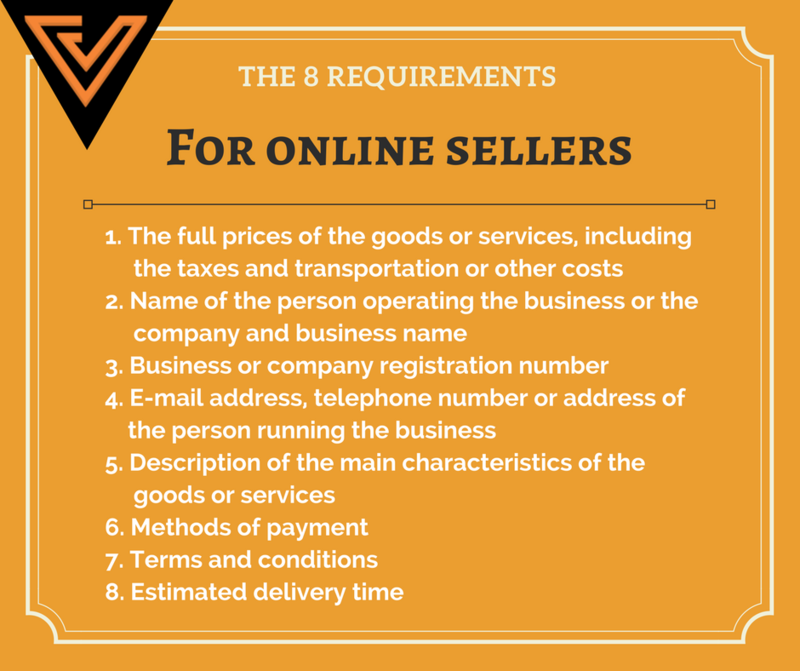 If you sell online (even on social media platforms like Instagram or Facebook), here’re the 8 requirements you have to make sure are displayed on your business, either on your page’s ‘about’, or in posting descriptions. 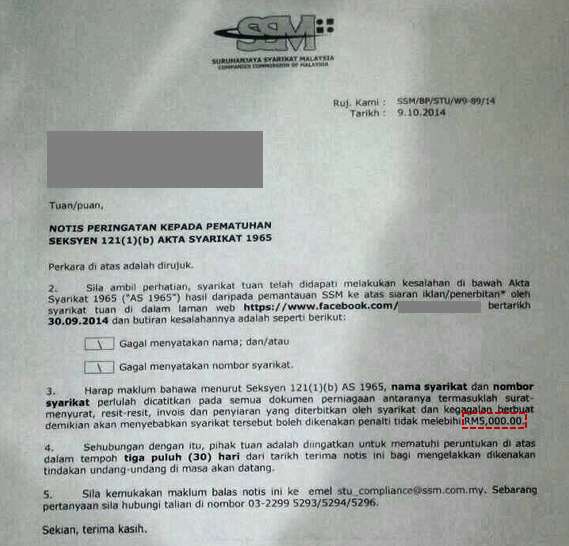 Failure to comply with any of the 8 requirements listed out by the ministry might get them a fine of up to RM50,000, or a jail term of not more than three years, or both. Wait, what do you mean business registration number? When most people talk about this new enforcement, they talk about how this would prevent the whole PM issue, and we can see this putting a dent in that. But a more underrated aspect of those 8 pillars is how you need to display your company registration number as well, even if you’re just someone doing small-scale selling online. There are exceptions for those who do one-off, personal sales online such as how Carousell works. But, as far as trying to earn consistent side-income by selling online on Facebook goes, you could be subject to crackdowns even if you display your prices clearly. So be careful online sellers, and check your stores before you wreck yourselves.